Are you ready for a realistic look to your fireplace? 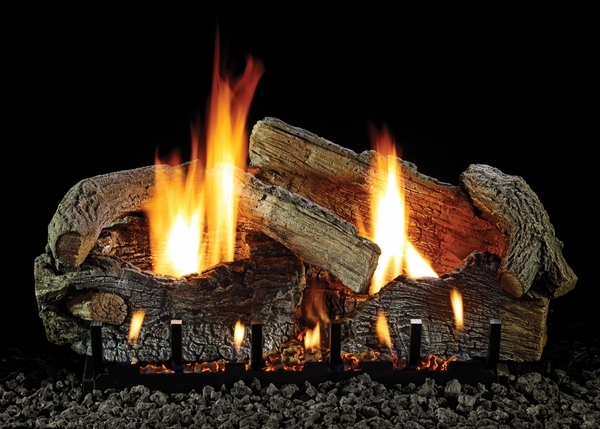 The Empire Stacked Aged Oak Refractory Gas Log Set with Slope Glaze Burner brings you the realistic look of a hunting lodge fire, but without the hassle of chopping your own wood. The Empire Slope Glaze Burner comes with different options for controlling the flame including manual and remote control with an on/off button. The Empire burner manipulates the flames causing an extremely lifelike rendition of fire. The Aged Oak Refractory 18'' Logs provide a natural look to the fire as well giving you a realistic aesthetic to your fireplace.